Traveling has changed a lot thanks to electronics and mobile devices. That 30-minute commute to work can now be an educational lesson if you listen to a podcast on your drive. You can catch up on your favorite television series during that long 8-hour flight. Or you can simply read an ebook during some downtime on your lunch break. Whatever the case may be, you’ll never be very far from having all the entertainment you need right in the palm of your hands. That is, until that entertainment is no longer available because the battery on your device dies. The truth is that a lot of these tech wonders have really poor battery life, which can make for a ton of headaches on your next trip. Luckily, here are some great battery packs for your devices that will help with charging your electronics. 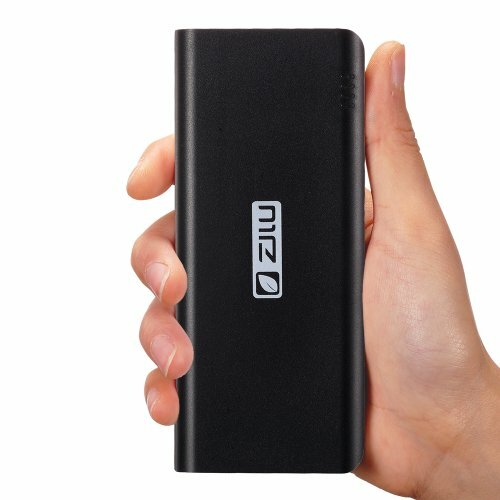 You’ll see a lot of small devices on this list, but possibly none smaller than the Zilu Smart Power Portable Charger. This device is incredibly small, and perfect for charging a smartphone or tablet. However, it doesn’t always charge the device completely, which is just one of the only downsides to this product. Luckily, it makes up for in terms of portability and extended battery life. If you are looking for sleek and portable, then look no further than the Incipio OffGrid. This battery is compact in size, but large in power. There are multiple different ports for you to hook devices up to, but all of which are USB. That means you won’t be able to charge a laptop or any other sort of large device. But if you are looking for a quick jolt on your smartphone or tablet, this is the way to go. If you don’t care for the Incipio OffGrid, then the Powered Pilot is equally as small. With two ports and an additional power switch that allows users to divert the energy they are using, you can choose which devices you want to charge. The sleek silver exterior is also a great alternative to the darker skin of the Incipio OffGrid (perfect if you are looking to match with a lighter tech device). Bestek is new to the mobile charging industry, but their products are awesome. What’s really special about the Multi-Function Jump Starter is the rigid exterior. This is perfect for when you are throwing your battery in your backpack, but it also won’t be sliding around on slick surface areas, either. As for charging, it doesn’t charge your device as quickly as some other options on this list, but you will notice a complete charge within just a few hours. Might be harder to find something better than the UNU Ultrapak Tour. Despite the fact that it’s a bit larger than other devices on this list, it holds the most life itself. That means that you can charge all of your devices multiple different times, which can be a lifesaver when on extended vacations. Don’t let your next vacation get ruined because you don’t have your favorite tech products. Instead, consider the options on this list for added juice. If you are getting ready to head out for your next adventure, then you’ll want to make your trip as worry-free as possible. After all, it’ll be incredibly difficult for you to enjoy your vacation if you keep worrying about whether or not you left your lights on or locked all the doors. To make for a better experience, here are some things to keep in mind as you create a simple checklist for your next trip. You know that you’ll need all of the necessities, including everything from clothing to shoes, which might mean that you leave packing these things till the last minute. However, doing so might result in you forgetting a few things. 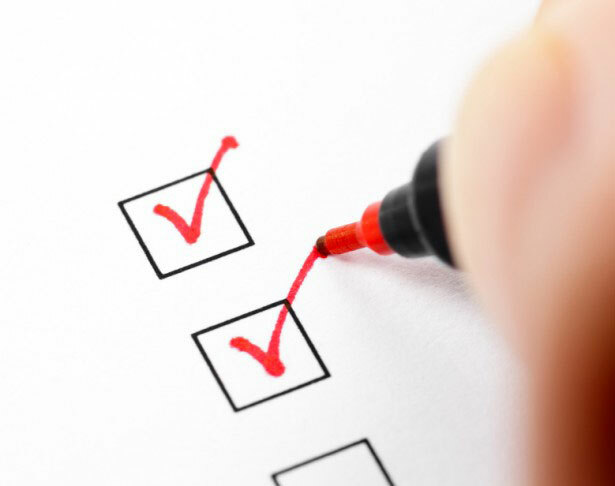 In order to make sure that you have everything you need, starting packing as early as possible – and make a checklist of everything you’ll need as you go along. *Pro Tip – Have a smartphone? Consider downloading a smart packing app that helps you organize and plan everything you’ll need to take on your vacation. The last thing you’ll want to do is get on the road and realize that your electronics are dead. Therefore, throw them on the charger the night before you head out. Bring along additional battery packs as well, and you won’t have to worry about getting disconnected while traveling. Arranging for a house sitter to come by and check on things. With just a bit of due diligence in regards to the things around your home, you can avoid a lot of the stress that comes from feeling like you forgot something before leaving for vacation. It can be incredibly frustrating, as well as quite embarrassing, to be out on the open road and get the news that your credit card has been declined. However, this might happen if your bank notices unusual use of your card. Be sure to call beforehand to inform them of your traveling plans, and this will help you avoid any issues while on the road. When hitting the open road in your RV, do everything you can to ensure the most enjoyable experience possible. By checking off all of the points on this list, you’ll be able to relax and make the most of your time on vacation. Towing a large RV requires that you are extra cautious while on the road. Not only do you have to be aware of your own actions while towing your trailer, but also those of others who are also on the road. After all, losing your concentration for just a split second could result in damaging your rig or hurting the people inside. To help you ensure that such accidents don’t happen, here are some tips for knowing your RV dimensions while towing your trailer. You might be so excited after getting your new RV that you immediately want to hit the open road. However, you might want to read up on the instruction manual before taking off. 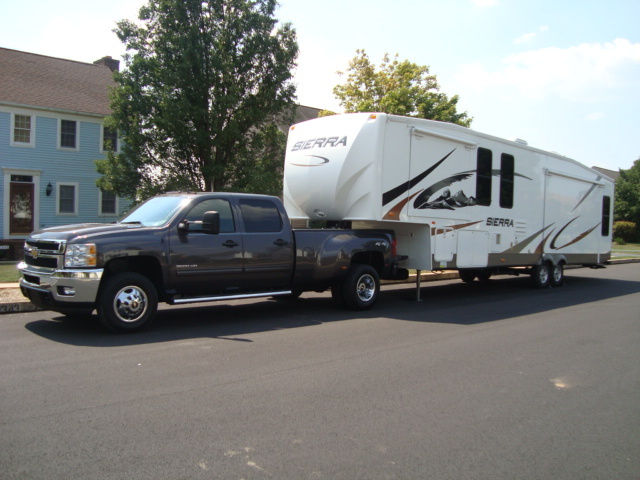 Towing an RV is not the same as towing a smaller vehicle and it requires more attention. Therefore, the more you know, the safer you’ll be. Reading up on the dimensions of your RV will help to keep you and your family safe. Some things to be aware of include the length, height, and weight of the rig. The length is obviously going to be important when switching lanes or parking, while the height will need to be considered when driving under bridges or street lights. As for weight, this will be moderated throughout the drive at various weigh stations, so be sure that you follow the rules set in place. Towing a big RV alone is not a great idea. Not only does it make for a less exciting road trip, but it might also increase the likelihood of an accident on the road. Therefore, be sure to have a few available passengers that can help out. These passengers can get out when you are parking, and help you when trying to get into tight spaces with your rig. If you have a smaller unit, or if you simply want to tow a bigger rig on your own, then consider investing in technology such as a rear view camera. With this sort of technology, you can outfit your rig and see all around it. This can be incredibly helpful for those that are traveling alone. Not only will you be able to see all around to make sure you aren’t hitting anything while you are pulling your trailer, but you can also keep an eye on things when you are parked to make sure that no intruders are around you. The most logical advice you can take when in your RV is that it’s always better to be safe than sorry. If you think you can’t make a turn or that a parking space is too tight, adhere to those concerns. You don’t want to risk ruining your rig, which can also ruin your road trip. Following these tips will help you get to your destination more safely, by knowing the dimensions of your RV. There are countless beautiful locations here in the United States for you to set as your RVing destination. And with a comfortable RV that has everything you need, there is no telling where the open road will take you in style and comfort. If you feel like you’ve seen it all, then maybe a trip to the West Coast will make for some beautiful scenic views that are something new. With so much to choose from, here are some of the top west coast travel destinations to set your GPS to. Joshua Tree is located just 2 hours away from Los Angeles, so you can hit the City Of Angels to take time to get in a photo with the famous Hollywood Sign during your trip as well. 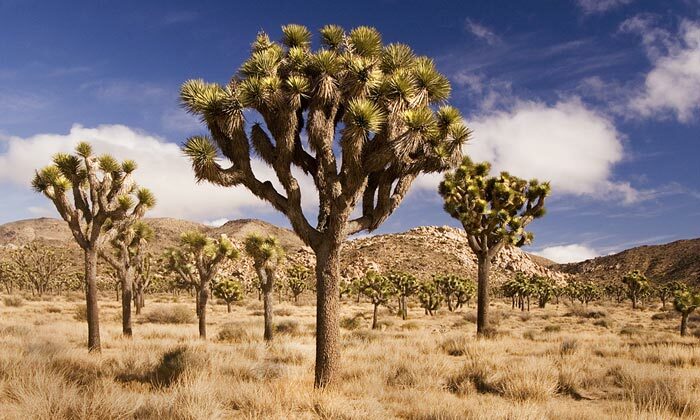 While in Joshua Tree, you’ll see some beautiful landscapes and also some truly unique hiking area. If you have time, hop out the RV and take time to scale up the trails. No trip to California would be complete without visiting San Francisco. Not only can you take in the Golden Gate Bridge and one of the steepest streets in the country, but there is also nearby Big Sur to visit as well. It’s here that you can take California State Route 1 as you go alongside one of the most scenic views of all time, alongside the Pacific Ocean. Head north of California and you’ll end up near Portland in Redwood National Park. This natural beauty makes for a great multi-day trip, simply because there is so much to do. The park is 40 miles in length along the coastline, and it is home to some of the most glorious trees on earth – some of which are as old as 2,000 years. Alright, so you’ve seen everything that the States have to offer, except for Alaska. Well, the trip for Seattle to Alaska will surely make for an unforgettable experience. And since it’s 26 hours of Canadian scenery, you’ll take in some sights that you’ve never seen before. Keep your eye open for moose, elk, and other wildlife that is indigenous to this area. But, all-in-all, the trip from Seattle to Alaska is certainly one that is worthy of your time if you have an RV. It may not be as “West” as some of the others on this list, but you can’t skip Vegas if you are heading to the Pacific coast anyways. During your trip to California, you can easily hit Vegas on the way. Spend just a few hours, take in a show, gamble a bit, and then get back on the road to any of these other, more relaxing spots on the west coast. If you are looking for a great experience that you’ll never forget, pack up the RV and get ready to visit the West Coast. With the options listed here, you’ll be sure to find something that you truly enjoy.